I often sort my meals out by food group to make sure I get the right amount of foods from each category every day. 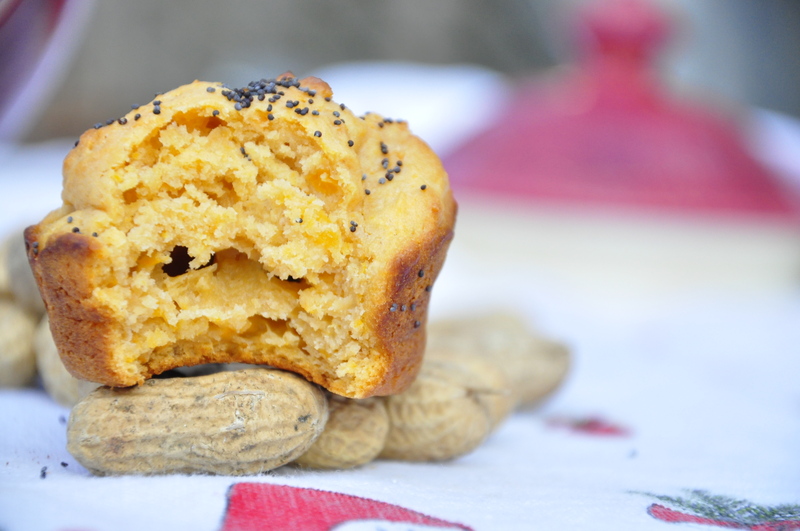 These muffins are the perfect breakfast for that because they have grain, dairy, vegetables and protein. For the past few years, I’ve been in the bad habit of only making muffins with chocolate chips in them. 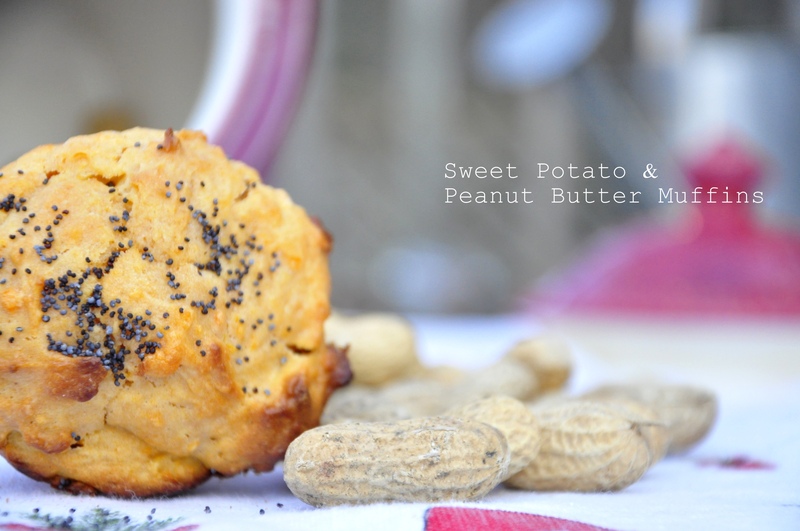 These muffins break that habit and are super-healthy with tons of vitamin A, potassium and protein. Eat this in the morning with a big mug of tea or a smoothie and you’re good to go. Sidenote: I absolutely hate raisins, and when people put them into muffins, cookies, etc. I think it ruins them. So I promise you I will never, EVER, put raisins in any of my recipes. In a separate bowl, beat together sweet potato, eggs and milk. Add the wet ingredients to the dry ingredients all at once, and mix just so that everything is well combined. 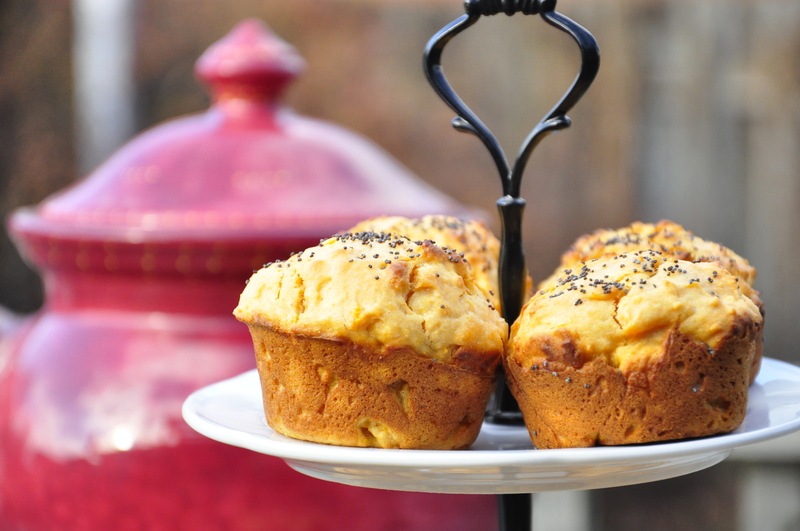 Fill greased muffin tins with the batter, and bake for 15-20 minutes. If you stick a toothpick into the centre and it comes out dry, they are done. Melt the remaining 1 tbsp. of butter and brush the tops of each muffin once they are fully cooked. Generously sprinkle poppy seeds on each one. Even without chocolate chips, these look incredible! Those look absolutely delightful, great flavours too – well done! Thanks 🙂 I was surprised they turned out since the dough was questionable looking..very glad they did though! Thanks, they’re definitely different from other muffins I’ve tried! This looks like such a delicious combo and they look to come out super moist! And whiel I love my raisins on porridge, I am with you 100 percent in bake goods- they ought to be left out! I’m glad your on the anti-baking raisin side! Wow!! I would never think of combining these two ingredients… love this recipe. (And your blog!) Thanks for sharing. Thank you! It is a bit of an odd combination but it works, hope you like them if you decide to give them a try!